Duggan became an official of the State Department's Latin Department. He married Helen Boyd, who was described as "an extraordinary beautiful woman: a typical American, tall, blonde, reserved, well-read, goes in for sports, independent". (2) Another friend commented that she was "beautiful, well balanced, capable and sure of herself, seemed the perfect counterpart to him. An excellent housekeeper and busy woman, she was an attentive and loving companion to Larry. " (3) The couple had four children. Headquarters instructed Bazarov to be certain that none of his agents undertook similar meetings across jurisdictional boundaries without your knowledge". Bazarov was particularly concerned about the behaviour of Hede Massing "knowing that her drawbacks include impetuousness". They made it very clear that they were very keen to recruit Laurence Duggan and his wife: "Therefore we believe it necessary to smooth over skillfully the present situation and to draw both of them away from Hiss... It is our fault, however, that Field, who is already our agent, has been left in her (Hede Massing) charge, a person who is unable to educate either an agent or even herself." Boris Bazarov wrote in another memo: "It is true that he is widely known as a liberal, a typical New Dealer... But that is not a problem. For the sake of security, he asked us to meet with him once a month, and he would like very much if our man knew stenography. He cannot give us documents yet, but later, apparently, he will be able to... He asked us not to tell his wife anything about his work and revealed an understanding of contact technique." Another report said that Duggan is "a very soft guy... under his wife's influence, a very lively, energetic and joyful woman. Laurence is cultured and reserved." However, Bazarov later claimed that he changed his mind about working as a spy. Norman Borodin, who replaced Hede Massing as his main contact after she left for Paris, reported that he was having doubts because "his wife was pregnant, and he had to think about his family's well-being." Borodin added: "Sooner or later... the authorities would discover his meetings with me, and then he would be fired from the State Department and blacklisted." Larry (Duggan) impressed me as being an extremely tense, high-strung, intellectual young man. His wife, Helen, beautiful, well balanced, capable and sure of herself, seemed the perfect counterpart to him. An excellent housekeeper and busy woman, she was an attentive and loving companion to Larry. Where I could clearly see the reasons, the motivations, for Noel's need for an activity outside of his work and personal life, it struck me as strange from the very start as far as Larry was concerned. Larry's life with Helen, their unquestioned compatibility, his obvious success at so young an age, seemed not to warrant such outside activities. He seemed so much more a part of the American scene. His background, his interests, were different from those of Noel. Noel was still partly European; though probably both of his parents were born in this country, he was of an English mother and Swiss father. But he had lived and had been educated abroad. I reported about the Duggans in the regular routine way to Fred (Boris Bazarov). I did not fancy him at all interested in someone who worked in the Latin American Department. But I was quickly straightened out on that point when Fred said, ironically, "The world does not begin and end with fascism, Hede! We are interested in the whole world - even in Latin America." And so to my "Assignment Field" was added Duggan. Larry was well informed about me through Noel and when I first spoke to him about "every decent liberal has a duty to participate in the fight against the menace, Hitler," I found, naturally, complete agreement. It was much easier to talk to Larry than it had been to Noel. It was less personal, less involved, more political in a way. By his terminology and the timbre of discussion I gathered eyed that he either had been a Socialist, or had at least given time and thought to the Socialist idea. I approached him much sooner and much more directly than I would have dared to with Noel, and brought my request to help us by letting us know "anything of interest" in his department. He doubted that there would be anything and he showed some reluctance, but promised to think it over and let me know. It was considered a very favorable reaction by Fred and we decided to wait for a while and not to press him. When I saw him next, which was after a memorable trip by car with the Fields and Helen Duggan (where we stopped in Baltimore to eat a famous oyster stew that made me deathly sick) I reminded him that he had wanted to "think it over." About a week later I phoned his office and asked him to have lunch with me. He seemed pleased. I picked him up and we went to the Club Oasis. And here, much to my surprise, he not only consented to work with us, but developed a complete plan, and explicit technical details of how he would collaborate with us. He was not going to hand over any document to us - that he made clear beyond a doubt. But he was willing to meet me, provided that I knew shorthand, every second week and give me verbal reports on issues of interest. When I explained that my function was that of a recruiting officer operating under supervision of a higher functionary, and that t could connect him with someone else, he again stressed the technical requirements. Good English and shorthand. He had no time to waste. It was a great success. Fred was very pleased. I must admit that I was filled with pride. Fred thought that it called for a celebration. This took place at Gerda's house and was elegant, elaborate, and strictly entre nous, Bill, Fred, Anton, Gerda, and myself. There was sukaski, vodka, caviar, borscht, champagne. Fred drank little, just enough to be able to beam without restraint, lift his glass and toast me: "Kakoye chelavyek!" What a girl! he said. I saw Larry just once more to make arrangements for the meeting with "my friend." He himself described the meeting place, in a parked car on the outskirts of Washington. He seemed pleased by the evidence of decentralization, when he learned that I was not to be present, and indeed, had no idea who the man would be who was going to work with him. He thought that to be a sign of a well-organized machine and liked it. We had agreed at the outset of our arrangements that Helen was not to know about it. This, too, pleased him. My assignment with reference to Duggan was at an end. I dropped out. But I could not help asking Fred a week or so after the supposed meeting with Larry had taken place, how it had come off, unconspiratorial as it was. He was worried, but did not say why. Several weeks passed, when Fred said to me, "You. know that fellow," even when we were alone, he would not mention the name of a co-worker, "he makes difficulties." "What sort of difficulties?" I asked. Fred was not ready to tell me. "You probably did not send the right man to handle him, probably he did not meet the conditions!" "I don't know," Fred said, "you might have to see him once more and talk to him." Fred never mentioned Duggan again. He did not send me to see him. 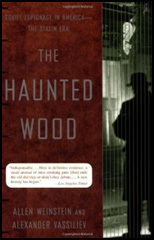 While Lawrence Duggan continued providing State Department documents to the NKVD throughout 1937, as attested by the cable traffic between Moscow and its American stations, a high-ranking defector from Soviet intelligence in Europe threatened to reveal not only Duggan's role as an agent but that of many other operatives and sources throughout Western Europe and the United States. 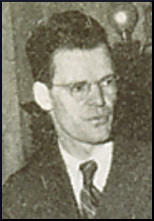 Ignatz Reiss (code-named "Raymond"), the head of NKVD operations in Europe based in Paris, had broken his ties to Moscow in July 1937 because of the threat to his security and that of his family posed by Stalin's ever-expanding purges in the USSR, which had even reached into the foreign intelligence networks. Hedda Gumperz and Paul Massing, after leaving the United States, had worked for Reiss. Through their briefings, Reiss had been informed about various American agents of the NKVD. Itzhak Akhmerov responded on August 15, 1937, to his superiors' inquiry about American sources known to Reiss by noting that "(Reiss) knew about (Duggan) and his wife.... Also, apparently, Reiss, being at your place at home (NKVD headquarters in Moscow), became acquainted with personnel files of our network." The Reisses, Akhmerov continued, had also socialized with Noel Field and his wife, Herta, in Switzerland through introductions by the Massings: "Also, take into account that Field ] is a friend of (Duggan's). It is very important to keep (Field) in our hands. If (Field) is compromised in connection with (Reiss's) disclosures, apparently (Duggan) will be frightened and will want to break contact with us. In his time, (Field) recommended [Duggan] to us." 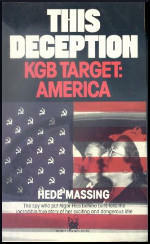 Protecting Soviet agents in the U.S. government as well as in Europe, therefore, required killing Ignatz Reiss before he denounced figures such as Duggan and Field. Shortly before defecting with his wife and children, Reiss had delivered a letter to the Soviet Embassy in Paris addressed to the USSR's Central Committee in Moscow. The defector stated that he was "returning to freedom - back to Lenin, to his teachings and his cause," in short, breaking with Stalin's leadership. It took two months of diligent pursuit before a pair of NKVD assassins caught up with Reiss at a restaurant near Lausanne, Switzerland. On September 4, 1937, Reiss's pursuers seized him, shoved him into their car, and (according to NKVD official Pavel Sudoplatov's later account) promptly ended his life: "Three miles from the restaurant they shot Ignatz Reiss and left him on the roadside." On September 11, 1937, NKVD officials in Moscow informed Akhmerov: "(Reiss) is liquidated, but not yet his wife. So far, we do not know to what extent she knows about (Duggan) and what steps she will take in future. Now the danger that (Duggan) will be exposed because of (Reiss) is considerably decreased." Soviet intelligence had begun to depend upon well-placed agents within the State Department, such as the NKVD's Laurence Duggan and Noel Field and the GRU's Alger Hiss, to provide vital information from America's "neutral" diplomatic outposts regarding the capabilities and intentions of Germany and Japan. The Soviet Union understandably viewed both countries as its potential "main enemies" in an Atlantic-Pacific war, the approach of which Moscow believed probable if not yet inevitable. Duggan in particular proved extremely helpful at this time. At a March 19, 1937, meeting, he gave Borodin a letter he had received recently from Joseph C. Green, head of State's Office of Arms and Munitions Control, which Green in turn had received from the Navy Department: "This letter said the navy knew that U.S. plants were now receiving large war orders from many countries," Borodin reported to Moscow, "in particular the USSR and Turkey.... In principle, the navy does not object to filling the orders ... but it categorically objects to carrying out war orders for the USSR since it reckons that the latter is a potential enemy." The following month, Duggan provided information from Green's files on foreign war orders in the United States, which elicited this rare compliment from Moscow: "We can ascertain your success in working with (Duggan)," who by then was becoming fearful of continuing to pursue departmental information in areas other than his direct Latin American responsibilities, as Borodin informed Moscow in late May: "(Duggan I thinks that now trying to acquire similar folders with German, Japanese, and British or Italian orders would be like 'playing with fire.' We'll see in future, but now, in his opinion, Green must be left in peace. We completely approved his point of view." That same month, however, Duggan passed other documents to Borodin, including some dealing with arms purchased by Spanish government officials in Mexico and a copy of a U.S. Embassy report from Berlin. He also described confidential discussions of peace prospects undertaken on Roosevelt's and Secretary of State Cordell Hull's behalf in Europe by an American diplomat. Ideologically (Duggan) is not our solidly formed man yet. He lives and circulates in the circle of State Department officials who represent a privileged and conservative caste in Washington. He reads mainly newspapers of the anti-Soviet kind and, being exceptionally busy, he cannot read Marxist literature or our brother press. Undoubtedly, these circumstances play a major role in his vacillations, which, thus far, have not disappeared." The previous summer Elizabeth Bentley and Whittaker Chambers had testified before the House Un-American Activities Committee, and the shock waves from their testimony still held the headlines. 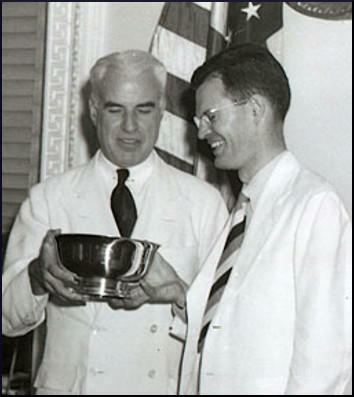 In those hearings Chambers had made allegations about Alger Hiss, and when the HUAC started looking into Hiss, one of the names that came up was Laurence Duggan, a former colleague of Hiss's at the State Department who was now president of the Institute of International Education. That development hadn't surprised me, because I knew of Larry Duggan-Hede Massing had recruited him to spy for the KGB, and had told me (rather reluctantly) that she'd done so. In the raw, early darkness of a Christmas-week evening, Manhattan's slushy 45th Street rustled with the shuffling sound and movement of people. Fifth Avenue's traffic brayed and rumbled close by. But the opened window, 16 floors above the din, was just an anonymous rectangle of light - one of thousands held by the city's glowing towers against the black sky. No one in the streets noticed the man who was silhouetted in its frame. No one saw him start his long, tumbling drop to the street. He fell on a heap of dirty snow. Passersby stopped, turned, and saw him then; a thin, black-haired man lying broken and dying. The curious gathered, and with them blue-overcoated policemen. Then an ambulance nosed up. At the hospital, where he was pronounced dead, he was given back his name: his billfold showed that he was Laurence Duggan, 43, of suburban Scarsdale. The routine of police process widened out, reaching for the rest of the story. He was an educated man (Exeter and Harvard 1927). He had a wife and four children. He had spent 14 years in the State Department, nine as head of the Latin American Division, four as adviser on political relations. Since 1946 he had held a $15,000-a-year job as president of the Carnegie-financed Institute of International Education, which provided for a flow of exchange students between the U.S. and foreign countries. But none of this explained his death. Police, who hurried to the Institute's 16th floor offices, found few clues. Duggan's brown tweed overcoat and his briefcase (which contained a ticket for an airplane trip to Washington the next day) were placed near his desk. His left overshoe was on the floor; he had been wearing only the right one when he fell. Police found no note. One of the two windows of his office was open. Measuring, the police found that it was raised 28 inches, was 44 inches wide. Its sill was 33 inches above the floor. Was it possible that Duggan, who was slight, but fairly tall (5 ft. 10 in., 140 Ibs. ), could have fallen out? How? Or had he jumped? Why? The police had no quick answers. But when the news of Duggan's death reached Washington, South Dakota's headline-hunting Republican Congressman Karl E. Mundt decided excitedly that he had them all. He called a midnight press conference and made a sensational announcement. Duggan's name, Mundt said, had cropped up at a secret hearing held by the House Committee on Un-American Activities early in December. At that time, Russian-born Isaac Don Levine, an ex-Hearstling who edits the anti-Communist publication Plain Talk and who collaborated with General W. G. Krivitsky on his memoirs, had made a damaging charge. He said that in 1939 he had heard ex-Communist Whittaker Chambers tell former Assistant Secretary of State Adolf Berle that Duggan was one of six men from whom Communists had obtained secret documents. Mundt was asked when the committee would disclose the rest of the six names. His reply put him on a par with J. Parnell Thomas as a stumbling block to a just and objective investigation of Communist activities in the U.S. "We will give them out," he wisecracked, "as they jump out of windows." The next day the FBI announced that it had questioned Duggan at his home only ten days before his death. It was a "routine" interview, said the FBI. Then from Washington, onetime Under Secretary of State Sumner Welles, who had been Duggan's immediate superior in the State Department, sent a telegram to New York's Mayor O'Dwyer which said: "I find it impossible to believe his death was self-inflicted . . . I hope you will take every step . . . to find out whether there may not be some other explanation." Mayor O'Dwyer, further spurred by superheated newspaper stories which darkly suggested foul play, put 33 detectives on the case. Duggan's family believed that he had opened the window to get air, had slipped or fainted, and had fallen. In Scarsdale, his widow, Mrs. Helen Boyd Duggan, a onetime advertising executive, angrily told newsmen: "I deny that my husband had anything to do with Whittaker Chambers or... with spying. It's the biggest lot of hooey I ever heard. It just isn't so - any part of it." When newsmen caught up with Whittaker Chambers, after yet another session before the New York grand jury investigating Communist activities, he told them that he had never met Duggan, had never received documents from him, had no personal knowledge that he was a Communist. Next day he augmented his statement, without clarifying it, by adding that he had nevertheless "found it necessary to give Duggan's name to Mr. Berle." So far as hard-digging newsmen were concerned, there was no more solid evidence that Duggan had had knowing contact with Communist espionage. There were indications that he had been friendly with a former State Department official named Noel Field, identified last summer in testimony by Chambers as a member of a Communist apparatus. The New York Daily News quoted Alger Hiss as saying that Duggan was a very good friend of his and that he was a "victim of persecution." Hiss later denied having made the statement. The charges and countercharges were a torpedo blast to the Un-American Activities Committee, which had taken a new lease on life by proving that its espionage investigation was something more than a "red herring." California's G.O.P. Congressman Richard Nixon beat a quick, strategic retreat via a television broadcast. Said he: "Whittaker Chambers' statement clears Duggan of any implication in the espionage ring." Democratic committee members tore at Mundt like wolves snapping at a fallen fellow. Said Congressman F. Edward Hébert of New Orleans: "... a blunder... a breach of confidence." Mississippi's loudmouthed old John Rankin cried, self-righteously: "Atrocious." Attorney General Tom Clark also spoke up. "The evidence (gathered by the FBI) discloses," he said, "that Mr. Duggan was a loyal employee of the United States Government." Later this week on a television program, he added that Duggan had been approached ten years ago by "two persons," but that Duggan had "repulsed them both" and that "we have found no connection between him and any espionage." His death was still unexplained. At week's end the New York police department made public the result of its special investigation: "Mr. Duggan either accidentally fell or jumped." When Duggan's name was mentioned prominently in 1948, other FBI agents questioned him; ten days later he apparently committed suicide by jumping out of a Manhattan hotel window. 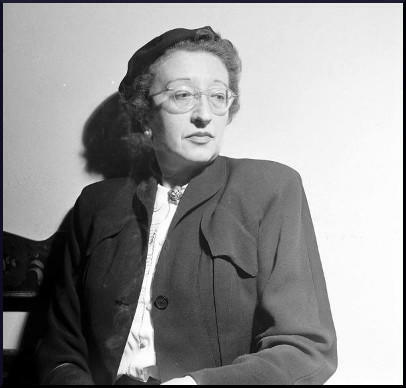 This death, coupled with the death by heart attack of Harry Dexter White, who had been named before the HUAC by both Bentley and Chambers, and who had been grilled by the committee harshly, incensed many people. I, too, was disturbed by Larry Duggan's death, but wasn't losing any sleep over it because I knew from my work with Hede Massing that he'd been a Soviet spy. I guess that's why I could hardly believe my ears when Duggan's close friend, broadcaster Edward R. Murrow, charged over the airwaves that Duggan had been hounded to his death by the FBI. Murrow made the man seem like a martyr, and acted as if there had been no basis for the FBI's ever having investigated Duggan as a spy. Then I could hardly believe my eyes as I read in the pages of the New York Herald Tribune a poem by Archibald MacLeish that referred in passing to Hiss and Duggan by saying: "God help that country where informers thrive! / Where slander flourishes and lies contrive."